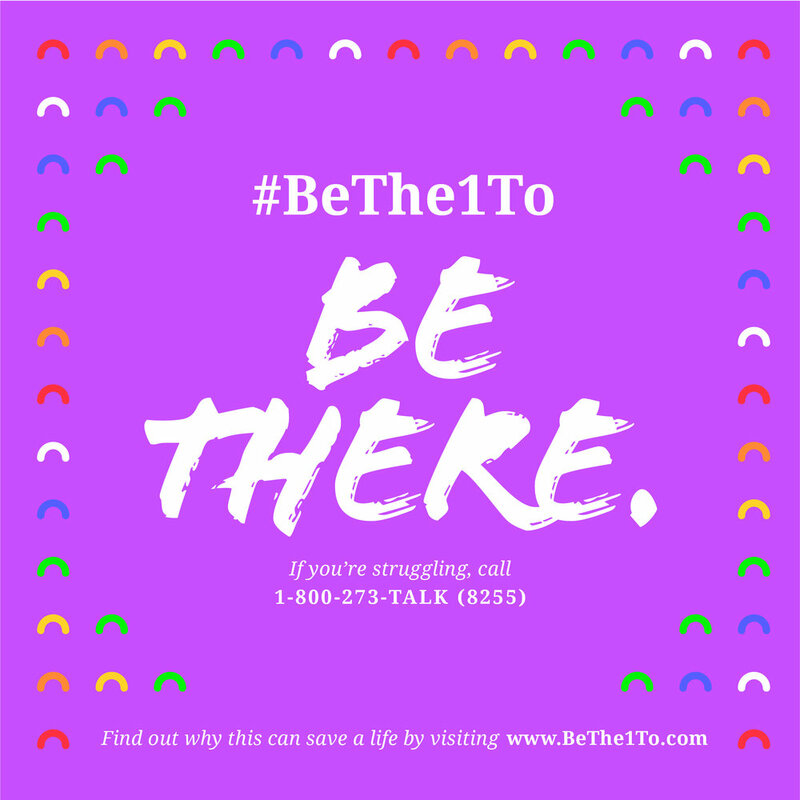 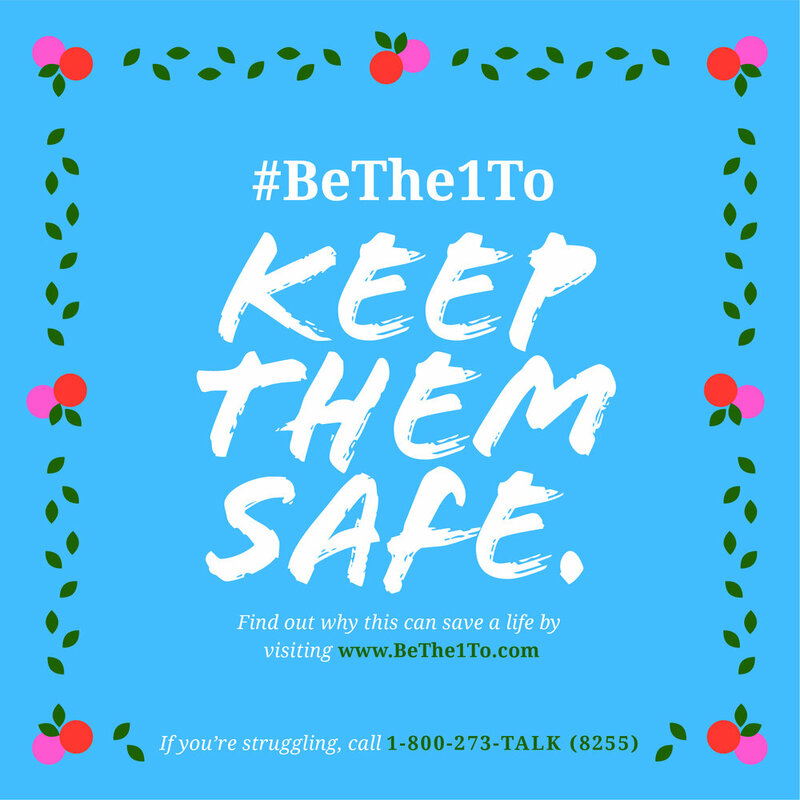 #BeThe1To save a life. 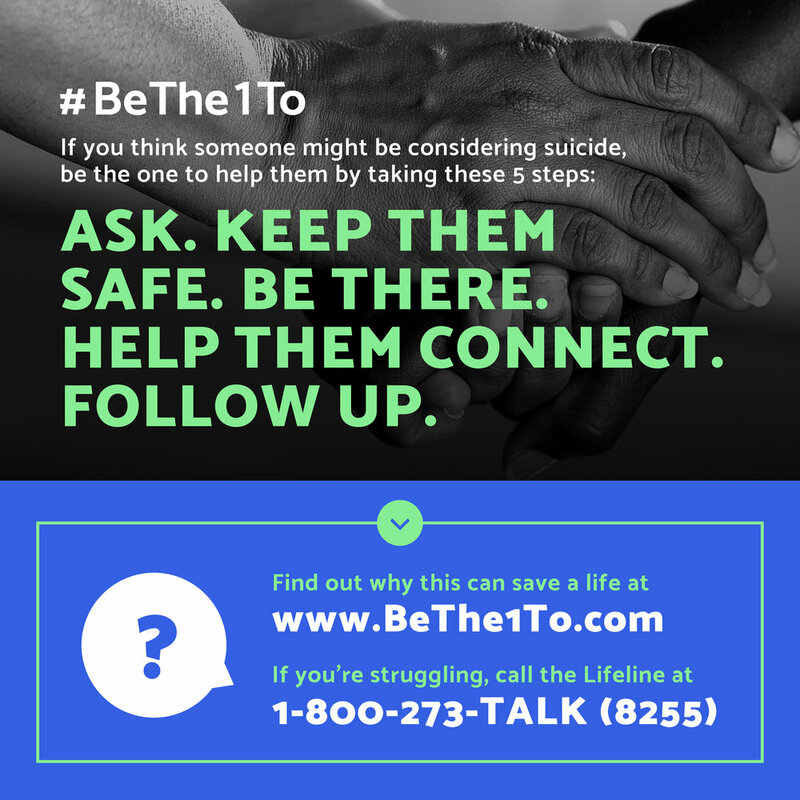 This social media campaign urges people to help loved ones through times of anguish and depression. 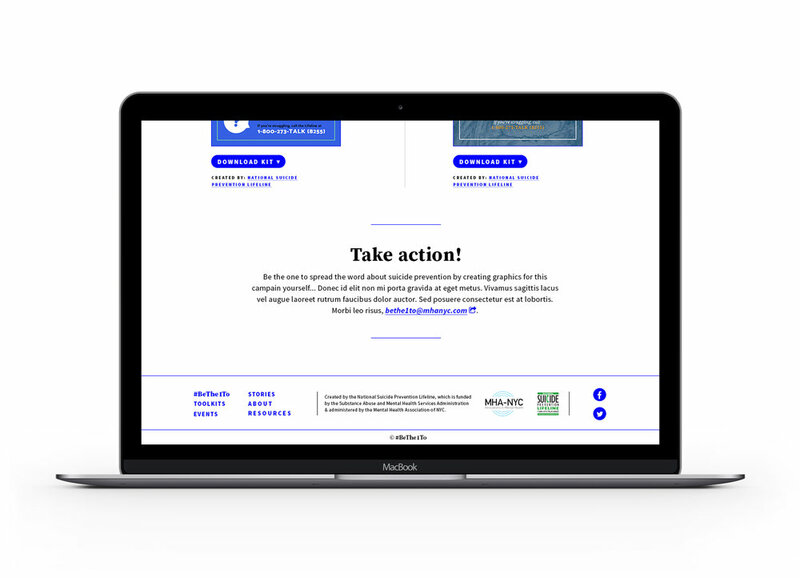 Images with the 5 action steps lead people to resources that might be helpful and are available for everyone to share. 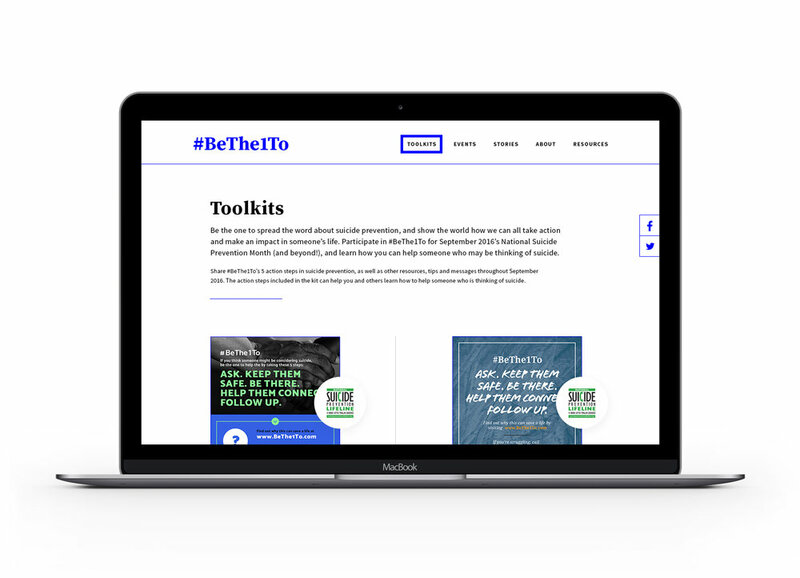 The website design below did not ultimately get chosen for this project, but you can see the live website here. 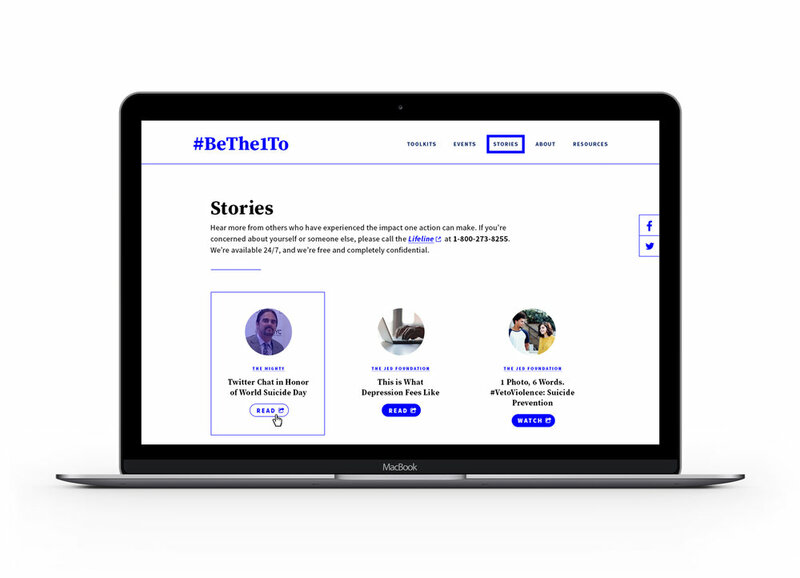 This site was created as a part of the Made by We team.